Dubai: The Dubai Multi Commodities Centre Authority (DMCC) is the master developer and licensing authority for the Jumeirah Lakes Towers (JLT) free-zone. The entity was established in 2002 to promote commodity trade flows through the emirate by building the necessary infrastructure. DMCC recently announced it had crossed the 3,000 mark in the number of companies that have registered in the free-zone. Since the beginning of 2011, DMCC grew at an average of over 100 companies a month. JLT, the 200-hectare mixed-used waterfront development that currently comprises 58 towers, over 3,000 companies and over 15,000 residents has also seen steady progression. Eight additional towers are expected to be delivered by the end of this year. These include a residential tower, a mixed-use tower, two hotels and serviced apartments and four office towers. 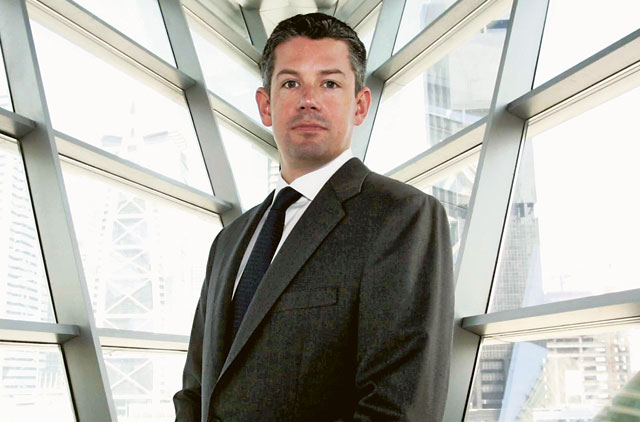 DMCC's CEO Malcolm Wall Morris talks about the free-zone's growth and future plans. Before joining DMCC, Morris spent two years as CEO of the Dubai Gold and Commodities Exchange (DGCX). Gulf News: How have you done so far this year and what are your projections for the next few years? Malcolm Wall Morris: In January 2011, we announced record performances in 2010 where we witnessed 725 new companies registered in that period. What we've seen in the first four months of this year was a continuation of that. Since the start of 2011, DMCC has registered over 400 companies, averaging over 100 per month; a rise of 65 per cent over the same period in 2010. How that's happened is the continued understanding and realisation that JLT doesn't just offer value for money but unrivalled infrastructure and location and a continued improvement in our product and service, our registration process, our online services and the belief that is spreading through the community of businesses coming to Dubai. What's really important and something that we're proud of is that of the 400 new business that have established themselves in Dubai, over 90 per cent are new to the emirate. In 2010, that percentage was 80 per cent, so it is increasing. The vision was to create this commodity free-zone to attract business and trade into Dubai. It wasn't about attracting businesses that were already here. We're seeing the culmination of all that work coming to the fore. Which industries are you seeing the most registered companies coming from? Part of the work we did in 2010 was look at our business to understand why businesses come to the DMCC and JLT free-zone and from what sectors and what geographies. We've got a very focused and targeted business strategy right now so we're targeting particular industries and particular geographies and we're seeing the fruit of that. Out of our newly registered companies 25 per cent come from Europe, 20 per cent from the Mena [Middle East and North Africa] region, 17.5 per cent from India and Asia, and the remainder from the rest of the world. It's global but the sector we're targeting is seeing real results. We recently presented at the aluminum conference because we believe that we add value in the metals business. We've already seen great success in the bullions business. We believe that the DMCC is a natural home for these companies. We recently attended the Dubai Cotton Conference, Global Tea Forum and recently held the Biennial Presidents' Meeting of the World Federation of Diamond Bourses (WFDB) where the former president of South Africa, [Thabo] Mbeki spoke at a gala dinner. The growth you're seeing in the diamond trade is a result of providing infrastructure or products and services to stimulate the trade. How have you attracted new companies to register in the free-zone? We don't fall for quirks like lowering fees. We have fixed fees. We look at adding value such as having a 50-year tax holiday, a guaranteed capital repatriation, no personal tax or corporation tax and a regulatory environment to support businesses. That already is a compelling enough reason and what the DMCC has done is take that to the next level. We're very much focused on commodities services and in some sectors such as in the diamond, tea, cotton, bullion, jewellery and financial services, we have provided other products and services to help to either provide efficiency to the quality supply chain or to add value. Businesses come here because it's an advantageous environment. They come here because it has unparallelled infrastructure activity. Businesses set up so they can be alongside other related businesses. In terms of higher figures we've seen the one that immediately leaps to the forefront is diamonds. We have over 550 diamond companies registered with us. Before DMCC was created, the value of the diamond trade coming through to Dubai was about $5 million (Dh18.36 million). At the presidents meeting we had a party sponsored by ABN Amro and one of the companies involved with the event sponsored models to wear his jewellery. One of the items was a 33-carat diamond solitaire ring, which was worth about $5 million. So that one ring represented the value of the trade of diamonds in Dubai before 2002. Last year's figures confirmed that the value of diamond trade in Dubai was worth $35 billion and that is down to the work DMCC has done. Diamond trading reached record volumes of 268.7 million carats in 2010, up 50 per cent on 2009. In January this year, the Dubai Diamond Exchange hosted a three-day auction where 34,000 carats of polished diamonds were sold for a total consideration of $7.2 million. Gold also set a record, with $41.3 billion traded through Dubai in 2010. India remains Dubai's leading partner with Switzerland ranking second. The Dubai Tea Trading Centre (DTTC) transacted a record 10.6 million kilos and imported 116.5 million kilos of multi-origin tea in 2010, an increase of 41 per cent and 15 per cent respectively compared with 2009. The centre's only been operational for just over two years. Before that, there was zero facilitation of tea trade. Tea trade was ongoing in the UAE but the value-added services such as the packing of teas, blending, storage and tasting that we facilitate didn't exist, so to go from zero to 10 million kg which is about 10 per cent of the volume of tea trade through Dubai is a fantastic achievement. In January, the Dubai Pearl Exchange (DPE) hosted the world's first commercial trade auctions outside Asia. The event, held over four days, featured Tahitian, Golden and South Sea pearls from Robert Wan, Jewelmer and Paspaley Pearling respectively. The auction attracted more than 100 pearl traders from 20 nations and netted sales of more than $13.5 million in wholesale value. What are the main industry challenges? The vast majority of commodities today are facing extreme price volatility and we're seeing record prices. DMCC's role is to facilitate the trade and provide the environment where they can trade. There are many in the commodity markets that regard price volatility as a good thing. If prices are correcting, buyers are saying now is the opportunity to buy. If prices are rising sellers are happy because they can get more money for their product. So if you're providing an environment where buyers and sellers can come together to facilitate that trade it's good for Dubai. When will JLT as a mixed-use development be complete? We have a unique situation whereby the DMCC is the master developer responsible for the infrastructure and beautification. We have only developed three towers ourselves. All the other towers within the main free zone are for third-party developers and it's up to these developers when the towers will be complete.